52 cards. Good questions make personal experiences come to life. 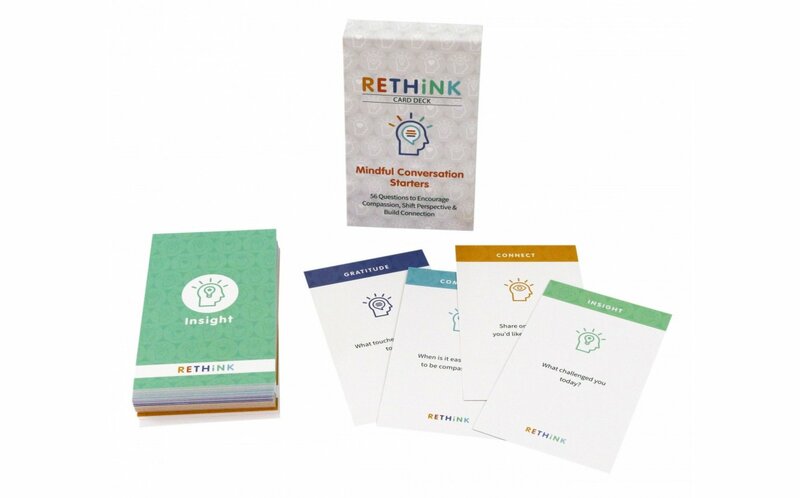 Whether you’re at home, in the classroom, or running a clinical practice, these conversation cards are meant to get people thinking and talking about who they are, what they like, and how they interact with the world around them. 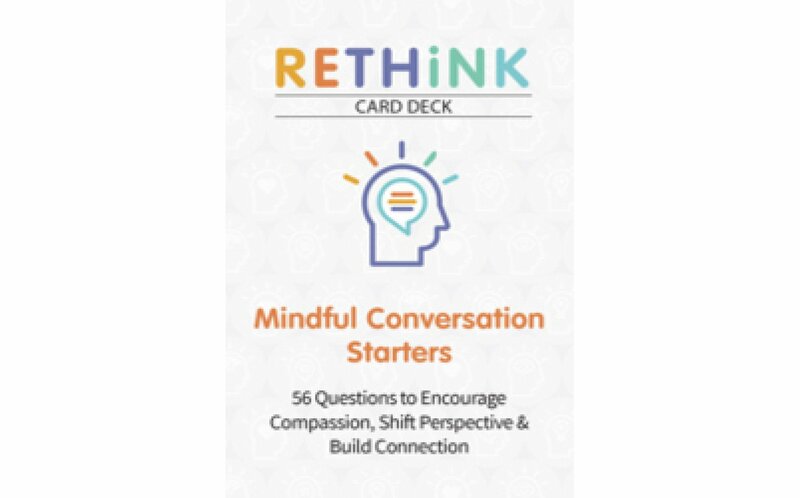 The deck is divided into four categories: connect, gratitude, compassion, and insight. Each category targets different skills and areas of life. Use the cards in group or individual settings. 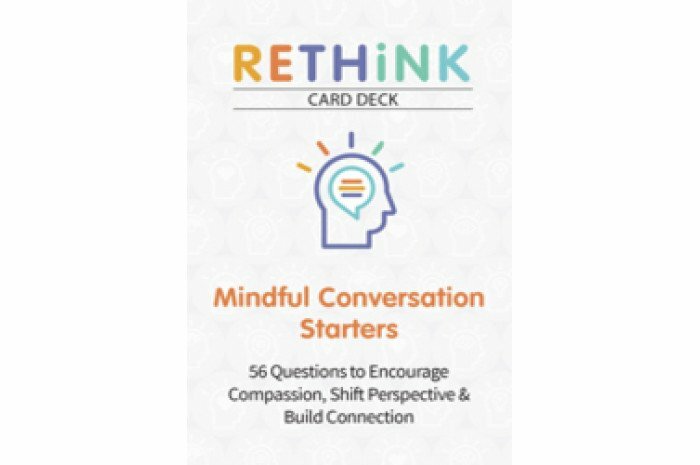 Pick a couple cards at random or do them all, based on your needs. Insight: What challenged you today? Connect: What helps you tune into the present moment? Gratitude: Do you acknowledge strangers with a smile? Why or why not? Compassion: When is it most challenging to be compassionate?